One of Merseyside’s longest standing family dental care practises is celebrating four decades in business. 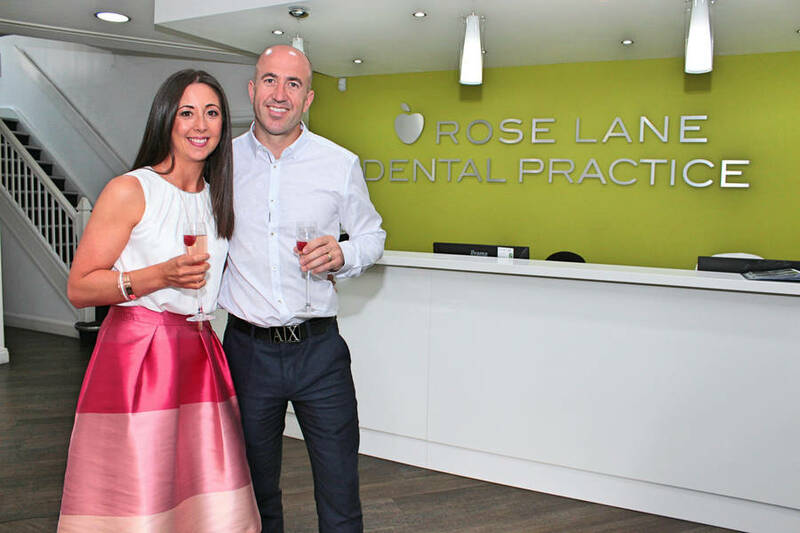 To mark the impressive milestone anniversary of Rose Lane Dental Practice, staff and industry professionals from across the North West descended on the Mossley Hill based surgery, headed by husband and wife duo Paul and Karen Swanson. In addition to officially unveiling the site’s recent renovation, which was part of a seven-figure sum investment, the celebratory occasion reflected on the practice’s evolution since its establishment in 1976. Practice Owner and Clinical Director Paul Swanson said: “Having taken over the practice in 2007, it offers a great sense of pride to see how far the surgery has developed over the past 40 years. As our patient base is ever expanding, staff members have tripled and our family dental care practise has evolved to become a specialist treatments provider. Regarded for its high-level of care and specialist treatments such as implant dentistry, Rose Lane Dental Practice upholds a 95% private client base and is the official dentist for Everton Football Club. As a result of Paul’s notable regard amongst leading dentists, he also accepts referrals from various practices from across the North West. Fellow Practice Owner and Dentist Karen Swanson added: “In order to continue to drive the business forward in the right direction, our aim is to deliver the same level of personable care to our patients so that they feel at ease no matter what. For more information about Rose Lane Dental Practice visit www.roselanedentalpractice.co.uk or call 0151 724 3351.